Well, well, well, what have we here? Could it be me trying to get back into your good graces through crazy cuteness even though I've been totally neglecting this place? You better believe it. Look at that tiny gap! Lara lost her first tooth today, and lo, there was much rejoicing, for indeed that thing has been wiggling back and forth nigh on two moons now. "I was eating a fruit snack, and I thought there was a crumb in my mouth, but then it turned out that it was my tooth all along!" The purple part is the envelope, which is addressed "Too Tooth Fairy First". 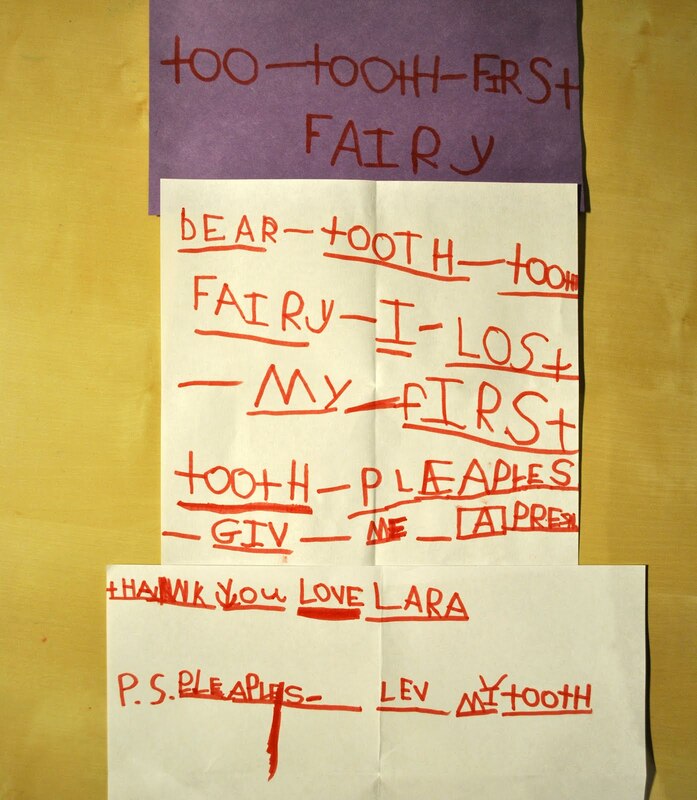 The letter reads: "Dear Tooth Tooth Fairy. 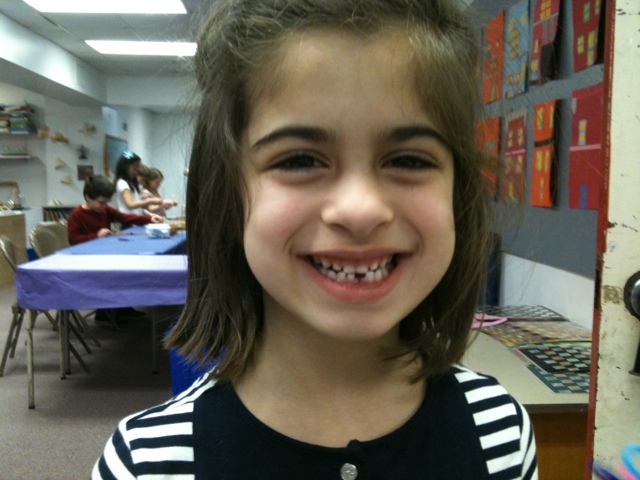 I lost my first tooth. Please give me a present. Thank you. Love, Lara. P.S. Please leave my tooth." I smell contract law in her future! We have missed you, but now see that the wait was worth it. Congratulations to Lara. Congratulations to all! what a milestone! and what a great and happy grin! Contract Law, LOL. I've experienced what Lara had experienced. It's pretty shocking to know that the lost tooth was mixed with the snack in your mouth. So that's why it was difficult to chew, LOL. Anyhow, Tooth fairies do make a big difference to kids. I should know 'coz my daughter's a believer too.